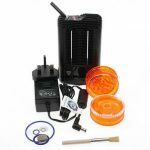 The Storz & Bickel Mighty has been the #1 recommended portable dry herb vape for several years and counting. It’s easy to use in every sense of the word: easy to load, easy to maintain, easy to vape, easy to share. The Mighty is easy to love. Except for the maybe $350 price tag. The Boundless TERA was designed as a Mighty Killer all along. TERA’s full convection heater is backed by dual removable 18650 batteries. 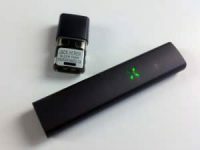 It was designed to be the most powerful portable convection vaporizer on the market – and it is. It’s also cheaper than most other full convection devices at $220. Puffitup includes a 4-piece grinder AND a free glass water pipe adapter with the Mighty vape. Plus Puffitup includes a free 4-piece aluminum Trees grinder! The vapor experience is really what makes or breaks a vape. Both the TERA and the Mighty offer fantastic dry herb vapor, but they’re very different. Boundless TERA Vapor is potent and rich as long as you’re able to take long draws. 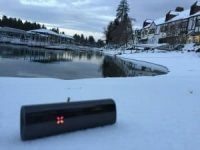 The TERA convection heater only heats the weed while you’re taking draws, so if you want the richest and fullest vapor possible you need to adjust your draw to pre-heat the bowl. The end result is a dense, hot, and flavorful vapor with a robust backbone not normally found in portable vapes. The TERA is punchy and powerful. Mighty Vapor is thick and potent as well, without any special draw techniques or pre-heating. The Mighty cooling unit has a dramatic effect on the mouthfeel and temperature of the vapor, making it the smoothest and coolest vapor available on the market. The Mighty is not quite as powerful as the TERA; however, the Mighty has considerably better vapor. The TERA really shines on a bong. The Mighty is German engineering at its finest. It’s ergonomic and natural to open, to hold, to control, and to vape. I love the Mighty because I can unload it and reload it in seconds. There are no tools needed – just dump and pump. There are 3 buttons and two of them are up/down arrows. The TERA is nearly as easy to load and unload. The magnetic mouthpiece is easily removed to reveal the stainless steel bowl. It’s equally easy to unload and clean; however the control interface has a bit of clunk. Expect to frequently mix-up the up/down buttons in between accidental screen flipping. When it comes to charging, the TERA takes the cake. Two removable 18650 batteries make the TERA a truly portable powerhouse with a stack of extra batteries. The Mighty charges with a wall-charger in about an hour. Nice review, thanks! When you will do a “getting high with vapes” again? At 18:40: “…so, that’s the ABV, and this is me hovering over the ABV. Waaaa! Hahahaha! You were so stoned. That’s why we love you dude. Good review, too. Keep up the awesome work! 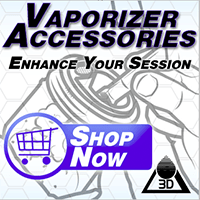 You create my favorite vaporizer and cannabis related reviews and content! I’m glad you were able to make the jump to your own website after YouTube. Also Puffitup is great, I’ve had nothing but excellent service from them. I would get the Mighty if they were the same price. They aren’t and so I’ll lose some flavors possibly. Thank you taking the time to compare and add more details and personality than most reviewers.